Not bad, as these things go, but the reporter made one error that needs correcting – so I’m doing it here to set the record straight, just in case it does not get taken care of in the original story. 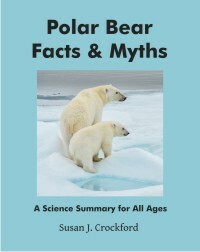 CNS News reporter Barbara Hollingsworth had seen my post last week, “Current ice conditions don’t bode well for Beaufort Sea polar bears” and wanted to talk to me about it. It was a little rushed, but I agreed. This is how it turned out, with the error corrected and an updated ice thickness map. 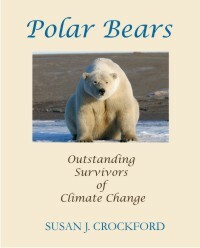 “(CNSNews.com) – Five meters of ice– about 16 feet thick – is threatening the survival of polar bears in the Southern Beaufort Sea region along Alaska’s Arctic coast, according to Dr. Susan J. Crockford, an evolutionary biologist in British Columbia who has studied polar bears for most of her 35-year career. Not so, and I never said or wrote that. However, what I did write might not have been clear enough. 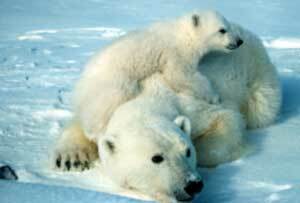 1) It was biologists working for the US Geological Survey that did the 2006 study on Southern Beaufort polar bears. 2) The PBSG is the organization that issues periodic status updates and population estimates for all 19 subpopulations worldwide. Like the Intergovernmental Panel on Climate Change (IPCC), the PBSG does not do research. 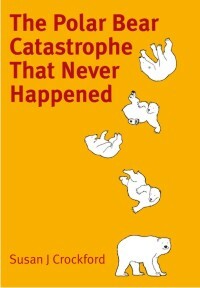 3) The US ‘threatened’ status was a decision made by the US Fish & Wildlife Service based on a number of studies and analyses conducted by USGS scientists, not just the Southern Beaufort study. I don’t believe I said that the biologists were not there in the spring, I think she simply misunderstood. However, to set the record straight, polar bear biologists were definitely working there in the spring and did notice the thick ice (and wrote several journal articles about it). 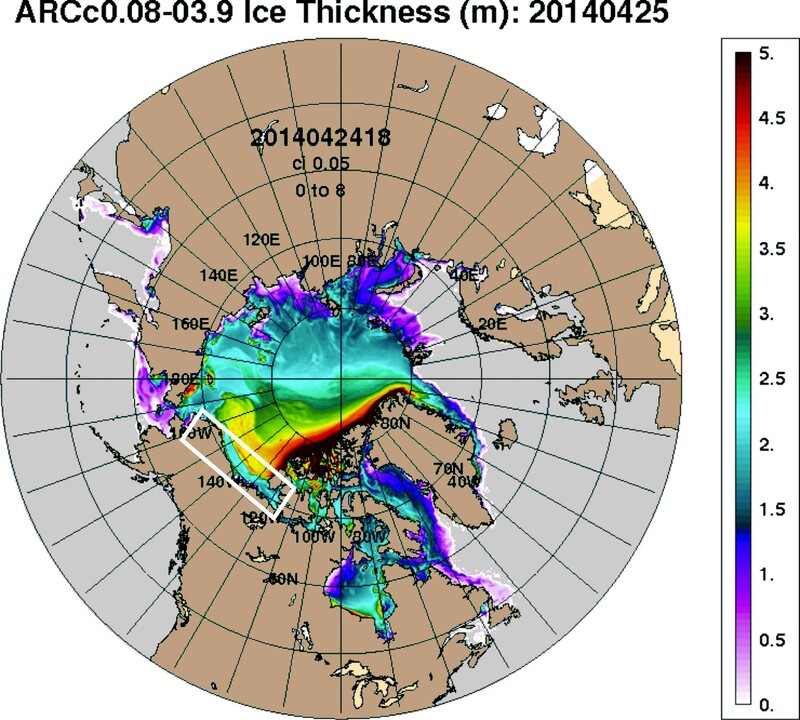 To bring this story up to date, I’ve copied (below) a screencap of the US Navy (nrlssc) ice thickness animation chart for yesterday, April 25 [from WUWT Sea Ice Page] with the Beaufort coastline marked in white. Some of the ice converging on the Alaskan coast is 3.5-4.5 m. thick, which will become thicker in places where the ice compressed against the shore forms heavy ice ridges. This entry was posted in Conservation Status, Sea ice habitat and tagged Alaskan polar bears, Beaufort, CNS News, media interview, PBSG, polar bear, thick spring ice, too much ice, USGS. Bookmark the permalink.